Here's a short party dress that's ideal for family celebrations. 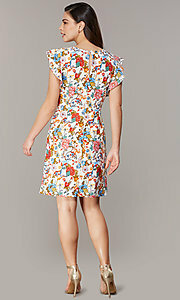 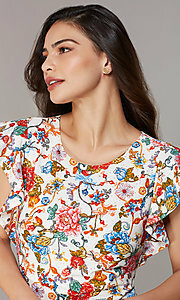 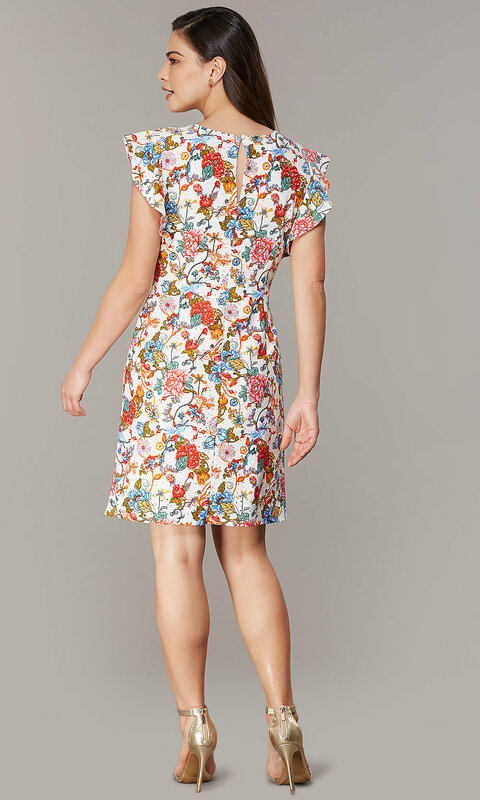 Red and multicolored floral embroidery blooms against the ivory background of this short shift dress. The scoop-neck bodice has ruffled flounce sleeves that lend a playful vibe to the design, while the knee-length skirt makes the semi-casual dress appropriate for vacation, a day at work, and other semi-casual occasions. 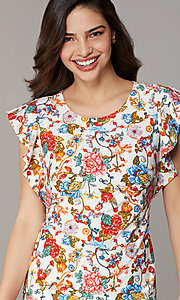 This floral-embroidered short party dress, under $100, is a fun and fresh addition to spring and summer wardrobes.